Eight companies from 5 European countries are participating in HyTransfer. Ludwig-Bölkow-Systemtechnik GmbH (LBST) is an expert consultant for sustainable energy and mobility. With our expertise bridging technologies, markets, and policy we support international clients from industry, finance, politics, and non-governmental organisations in strategy, feasibility and market assessments. International blue-chip companies trust in our reliable judgment. 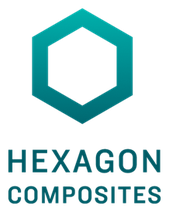 Hexagon Composites is a listed Group, with head office in Ålesund, Norway. The Group had 511 employees and achieved a turnover of MNOK 1.033 in 2012. The Group aims to be a leader in global market for composite cylinders. Today, Hexagon Composites is a global supplier of composite cylinders to major stakeholders in automotive, bulk hauling and for stationary storage of compressed gases. Product sizes in serial production is ranging from 11 L and up to 8400 L and for some of the products with pressure rating up to 105 MPa. Air Liquide is the world leader in gases for industry, health and the environment. The Group offers innovative solutions based on continuously enhanced technologies. Hydrogen coupled with the fuel cell is an alternative to fuels that is being actively developed by the Group, which is conducting research on the complete hydrogen chain, from hydrogen production to clean power transportation. Established in 1988, Honda R&D Europe (Deutschland) GmbH is for more than 20 years actively involved in the fuel cell and fuel cell electric vehicle research. Having initiated together with other car OEMs the European Integrated Project “autobrane” in 2004, advancing the R&D on higher temperature membranes for automotive use, Honda R&D Europe (Deutschland) GmbH enhanced its scope of work to even cover demonstration projects related to Hydrogen and FCEVs in Europe. The Institute for Energy and Transport (IET) provides scientific and technical support on energy issues to policy makers of the European Union (EU). Special emphasis is given to the security of energy supply and to more sustainable, safer and cleaner energy production and use for the future. The IET is one of the seven Institutes of the Joint Research Centre, a Directorate General (DG) of the European Commission. The JRC functions as a reference centre of science and technology for the EU. Close to the policy-making process, it serves the common interest of the Member States, while being independent of special interests, whether commercial or national. The IET is based both in Petten (the Netherlands) and Ispra (Italy) and has a multidisciplinary team of more than 300 academic, technical and support staff. PPRIME Institute is a Joint Research Unit (JRU) which has been set up on the 1st January of 2010 by Centre National de la Recherche Scientifique (CNRS, www.cnrs.fr), the French public largest research organization, in partnership with ENSMA (www.ensma.fr), a national engineering college in mechanics and aeronautics and also with the University of Poitiers (www.univ-poitiers.fr). The PPRIME Institute is acting in a wide range of research fields as materials engineering, mechanics and energetics. Its heat transfer group promotes and manages research activities related to thermal sciences, including the characterization of thermophysical properties of anisotropic materials and inverse techniques for non-intrusive temperature and heat flux measurements. The group takes advantage of a consistent experience gained from its participation to many national and international research programs. TesTneT Engineering GmbH is an engineering and testing business specialized on high-pressure applications up to 400 MPa, founded in 2009. Apart from the design and evaluation of testing programs, TesTneT performs high-pressure function and permeation tests, using the unique PermeaSure® method. 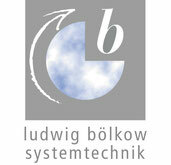 CCS is a strategy consulting firm in the field of hydrogen, fuel cells and other alternative energy technologies. With over 30 years of experience, CCS experts have been providing strategies in development and use of regulations, codes and standards to clients in both public and private sectors. CCS has been a full New-IG member since its inception in 2008.